Feeling chilly? If you enjoy a tipple, winter is the perfect time to sit in front of the fire with a glass of port or fortified wine in hand. Port and cold weather go together like s’mores and firepits. Originating from the northern areas of Portugal, port wine is usually a sweet-red delight, but can also come in white, dry and semi-dry varieties. Combined with life’s essentials, chocolate and/or cheese, it’s a blend of goodness that has proven health benefits too – all in moderation of course. Aside from being the ultimate winter warmer, port wine is favoured for its myriad styles. It is little wonder that port is one of the most famous dessert wines worldwide. If you’re looking to get ‘port and tawny’ this winter, Just in Time Gourmet has you covered. To avoid making ‘pour’ decisions though, here’s everything you need to know about fortified wines. 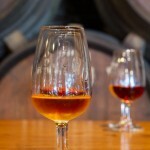 Port and fortified wine are both dessert wines. The difference between the two is where it’s made. Like sherry, which is a fortified wine made in Spain, port wine must come from Portugal to be called ‘port’. However, all ports and sherries are types of fortified wines. Port is made specifically in the Douro Valley region north of Portugal. It consists of a unique blend of Portuguese grapes and traditionally fermented by people stomping the grapes with their feet. Today, port wineries have replaced manual labour with mechanical ‘feet’ to replicate the process. This historic sweet wine is best served in a port wine glass, smaller than a regular wine glass and generally drunk after dinner, as a ‘dessert wine’. Port and fortified wines are associated with flavours such as chocolate, cinnamon, dried fruits and nuts. They also have strong berry characteristics, making a perfect pairing opportunity to use whn cooking or to accompany desserts. As port and other fortified wines age, they offer an elegant, refined taste. Fortified means ‘strengthened’, which puts port and other fortified wines in the stronger alcohol content category. Fortifying a wine also allows for endless flavour possibilities, including vanilla, hazelnut, figs, almond, butterscotch and green peppercorns. To achieve ‘fortified’, wines are blended with a distilled neutral grape spirit, usually brandy. How it tastes at the end however, is dependent on the type of wine and spirit used, and the point which the grapes are added to the fermentation process. The latter affects how sweet or dry fortified wine will be. Additional flavours and aromatics can also be added to alter the taste. The result? A deliciously delicate, smooth dessert wine perfect for sipping on those cold winter nights. Port and sherry aren’t the only im-‘port’-ant dessert wines worth mentioning though. Here are some other fortified wine varieties to tempt your tastebuds. The pinnacle of the port pyramid, vintage port is aged for at least 15-20 years before it’s considered ready to drink. As it emerges into adolescence, its peak drinking age is between 20 and 40 years. For the finest of vintage ports, however, this peak may not be reached for 80 years. But, we hear it’s worth the wait. A sweet barrel-aged port made from red grapes. Tawny port is golden-brown in colour, with rich nutty and dried-fruit characteristics. If vintage is the king of ports, tawny is the queen, balancing acidity and texture to create a heavenly flavour. For port drinkers that love the idea of drinking chilled, aged tawny is a winner as it can be drunk room temperature or cooled. The more exotic version of port, this style of fortified wine comes from the Portugal Madeira islands, off the coast of Africa. It’s a white dessert wine with a nutty, caramel taste that’s available in different styles of dry/sweet variations. Because of its versatile flair, madeira wine makes a fine collectible for wine lovers, if you can hold out. Although muscat is a grape, it’s used for fortified wines in Australia. In fact, Victoria’s Rutherglen has one of the most talked about fortified muscats in the country. 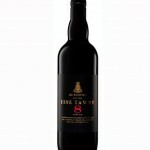 This liqueur, similar to Madeira wine, consists of intense toffee-like flavours to sweeten your dessert wine experience. Match with chocolate, cheese or your favourite sticky pudding. Vermouth is an essential mixer of martini cocktails and is defined by the specific usage of wormwood as the flavouring agent. Despite it being a vital cocktail component, Vermouth is very drinkable on its own too. This fortified delight is a mix of wine, distilled spirit, sweetener, wormwood and supporting botanicals. Maidenii is a Victorian Vermouth which incorporates local botanicals for a cleansing and slightly medicinal drink. Port and other fortified wine varieties are perfect on their own but, for the ultimate experience, pair with sweet treats. Port, Muscat and Madeira are often served with desserts, while drier fortified wine styles make delicious sipping wines. Fortified wine can also be paired with food. Consuming with stronger cheeses, such as Stilton, brings out the sweetness of the wine. The berry flavours of port wine enhance cheese flavours without overpowering, while tawny port and fruit mince pies go hand-in-hand. At Just in Time Gourmet, we love our dose of fortified wines and all things gourmet and delicious – especially in winter! To warm you up, we’ve hand-picked our favourite dessert wines to sweeten those winter blues. A local based winery in Margaret River, Arthur Wines specialises in fortified wines. Owned by husband and wife, Rob and Tash Arthur, they’ve tasted their fair share of port, after working in Rutherglen and Portugal. We stock their Ruby Slipper, Glass Slipper and Barrel-Aged Muscat. Arthur Wine will be exhibiting at Dowerin Field Days this August where you’ll be able to taste some of their creations. We’ll be there too, so come say hi! Olive Farm Wines is the oldest established winery in WA – so they know their fortified wines well! They have an extensive stock online, featuring tawny ports, liqueur muscats and their late bottled vintage port. While you’re there though, be sure to taste wines from the rest of the collection too. 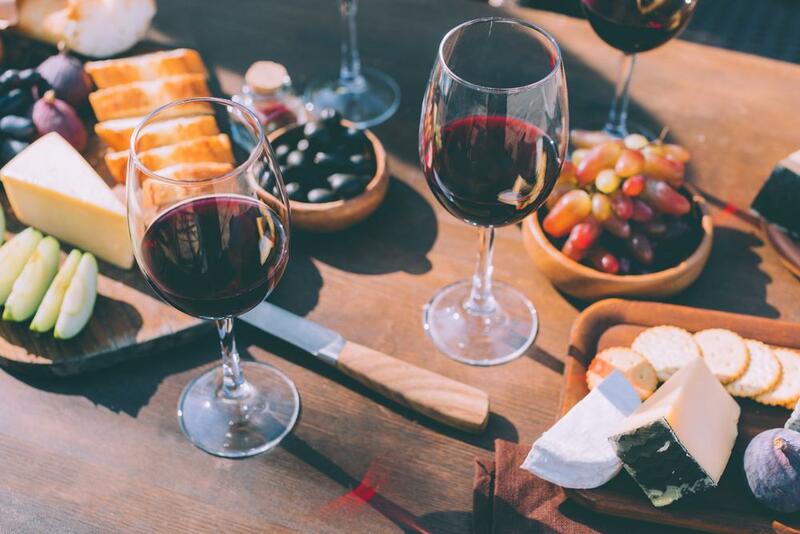 If you want the best winter warmers (port and fortified wines, of course), contact us today and we’ll help you discover the tastiest gourmet treats to go with them. Just in Time Gourmet offers free delivery on all our goodies over $50 in Perth and great delivery rates for interstate orders. Please note: Due to liquor control regulations, alcohol orders through Just in Time Gourmet must not exceed 50% of the value of each gift hamper.